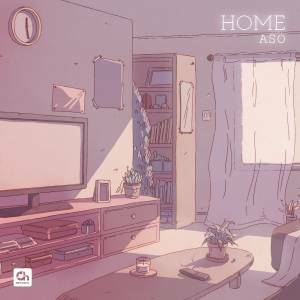 Aso will always have a special place in my heart. His beat "Seasons" was one of the first exclusive releases on SoundCloud thanks to Chillhop Records and our most played track there. Hence, seeing those 2 teaming up together brought a smile on my face. I knew there's nothing but beautiful chill ahead of me and "Blankets" didn't disappoint. I think the US producer has come a long way since I've discovered him a few years ago and this is the perfect example of his flawless work. The track is taken off his 9 track Home EP which you can stream below, especially if you're looking for some zen feels in your life.